Tô na Rede arrived in Pará very early on: Belém was one of the three cities chosen for the pilot project in 2014. To begin, Instituto de Políticas Relacionais formed a partnership with Fundação Cultural do Pará and Sistema Estadual de Bibliotecas Públicas to conduct a survey of local libraries and an invite them to enter the project. We made a presentation to all the staff of the Arthur Vianna Library, about 100 people eager to get to know Tô na Rede. On the same day, about 70 employees were present to continue the activities. We stayed there for 12 months: preparing and applying the six blocks of training and continuing the professional action of each participant. Today, they act as multipliers of Tô na Rede by the state. The training took place in Belém between 2014 and 2015. As always, we start with the block on Ethics and Citizenship. 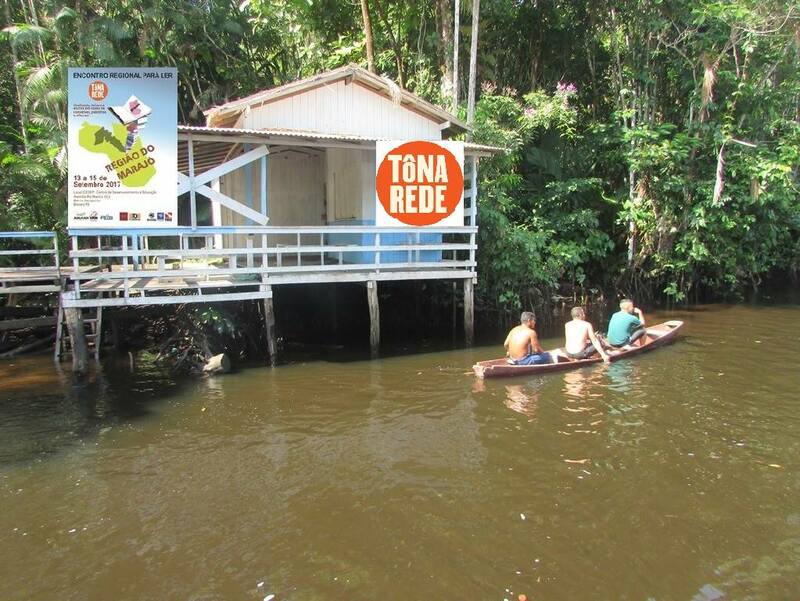 In Tô na Rede, the training blocks are always the same, but adapted according to the demand of each group or region. The second moment was Talent Recognition, where participants raise issues from their libraries and look for possible solutions within the group’s skills. Then the students took the courses on Advocacy, Local Mapping, ICT and Annual Planning aligned with 2030 Agenda. When the training ends, it’s time to go back to the libraries and apply what was learned. 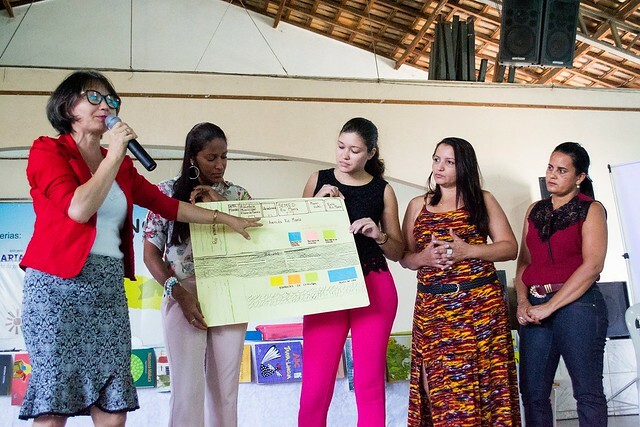 Throughout 2016, an analysis of indicators of the pilot project activities was made and we noticed that the most significant result of Tô na Rede is the improvement in the way the community and the library perceive themselves and their needs. 2 Points of Information and Communication – implanted as a Tô na Rede space. 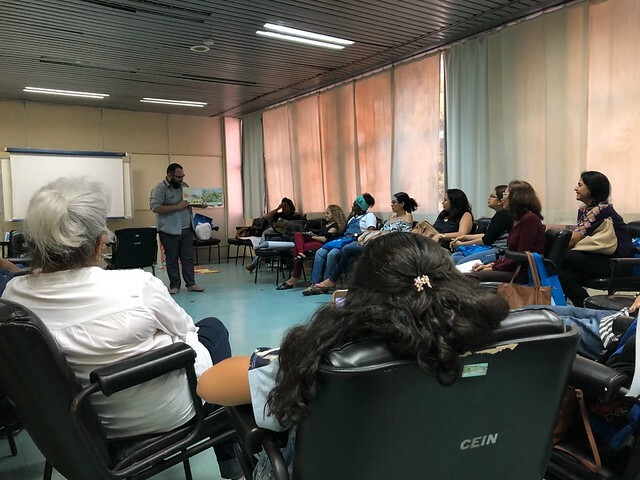 In January 2017 we received at Instituto de Políticas Relacionais the Tô na Rede meeting for internalization in Pará. The result of the previous stages was so good that it was time to reach the 144 municipalities of the State. The then coordinator of the State System of Public Libraries, Guilherme Relvas, and the Director of Reading and Information, Giselle Arouck, spent two days in São Paulo to think about the regional and state meetings, the diagnostics and mapping of the municipal libraries and evaluating all the work that has already been done. The internalization process Tô na Rede Pará has two fronts: regional meetings and the diagnosis of municipal libraries. 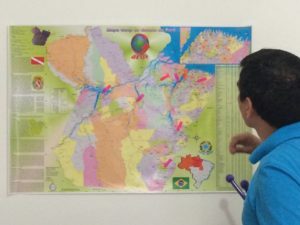 There were six regional “Pará Ler” meetings, promoted by Fundação Cultural do Pará, in partnership with Instituto de Políticas Relacionais and Iberbibliotecas. The meetings were held in the cities in the integration regions from May to October 2017: Bragança , Santa Maria, Oriximiná, Rio Maria, Breves e Vitória do Xingu. 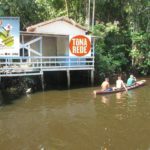 The other half of the internalization process of Tô na Rede in Pará is the diagnosis of the public libraries of the 144 municipalities of the State. In July 2017 the Instituto de Políticas Relacionais selected 10 local researchers to collect this data. They traveled throughout August and September to talk to librarians, staff and of course the community and observe the situation of each library. This is a tool that will ensure the sustainability of quality information and public policy proposals for libraries in the state of Pará. 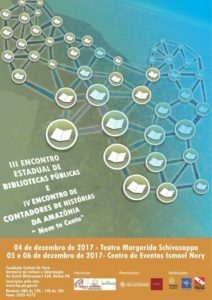 From December 4 to 7, 2017, we took part in the Encontro Pará Ler Rumo à Agenda 2030 da ONU: III Encontro Estadual de Bibliotecas Públicas and IV Encontro de Contadores de História da Amazônia: Nem te conto. 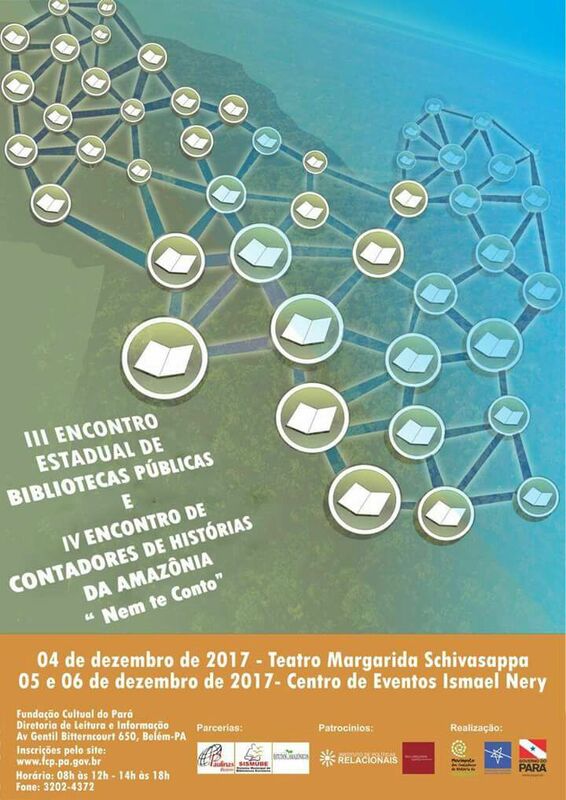 The meeting was attended by more than 400 participants from different municipalities of Pará and other states interested in knowing Tô na Rede’s proposal and thinking of partnerships for 2018, such as the representatives of the State System of Public Libraries of Ceará and Pernambuco. In the workshops we trained 296 professionals in the area. The program included lectures, debates, workshops, experiences and artistic presentations. Our next challenge will be the Panamazon Meeting in 2018! 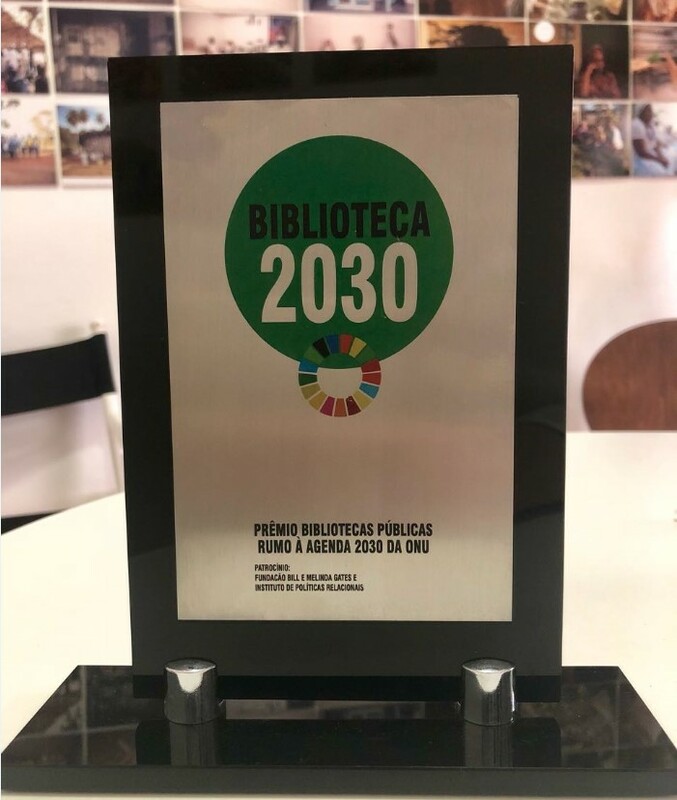 Instituto de Políticas Relacionais and Fundação Cultural do Pará awarded six libraries that stood out in the Diagnosis of the Municipal Public Libraries of the State of Pará with Prêmio Biblioteca 2030! The initiative seeks to recognize projects that help connect communities with information through public libraries and are inspired by the 17 Sustainable Development Goals from the United Nations’ 2030 Agenda. Each library received a collection of 30 books with themes related to the agenda goals and a computer. Here are the awarded libraries: Biblioteca Pública Municipal Miguellina Bitencourt de Araújo from Abaetetuba; Biblioteca Pública Municipal Eustórgio Miranda from Breves; Biblioteca Pública Municipal Eneas Cavalcante from Oriximiná; Biblioteca Pública Municipal Wesley Viana de Moura from Redenção; Biblioteca Pública Municipal Desembargador Wilson Marques from Tomé Açu; Biblioteca Avertano Rocha from Belém.